La Jolla’s Mount Soledad Cross is a 29-foot Latin cross made of concrete standing atop Mt. Soledad, overlooking the Pacific Ocean. The current Mt. Soledad Cross was built in 1954, but a previous cross stood on the spot since 1913. The Mount Soledad Cross has been the subject of much litigation. Supporters of the cross consider it an important war memorial, while opponents feel it violates the separation of church and state. 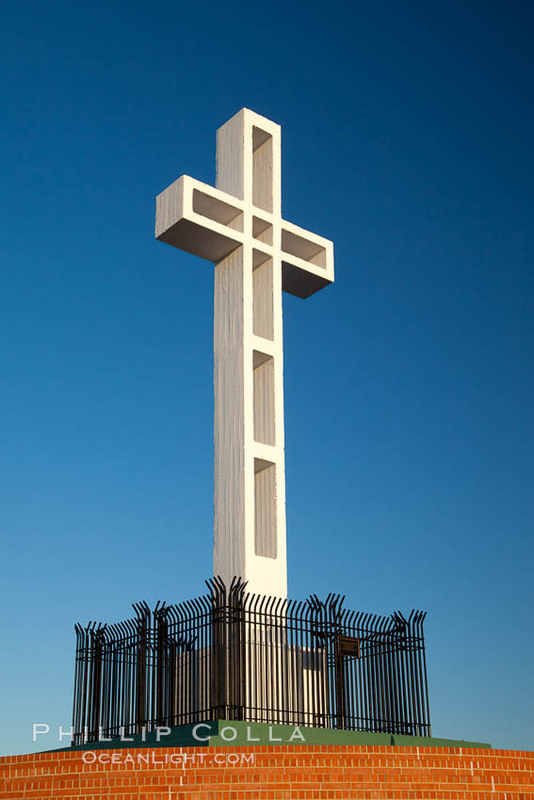 Currently, the cross and the land on which it stands are owned by the nonprofit Mount Soledad Memorial Association. My hunch is that the cross will remain standing for years to come. The Mount Soledad Cross, a landmark in La Jolla, California. The Mount Soledad Cross is a 29-foot-tall cross erected in 1954. 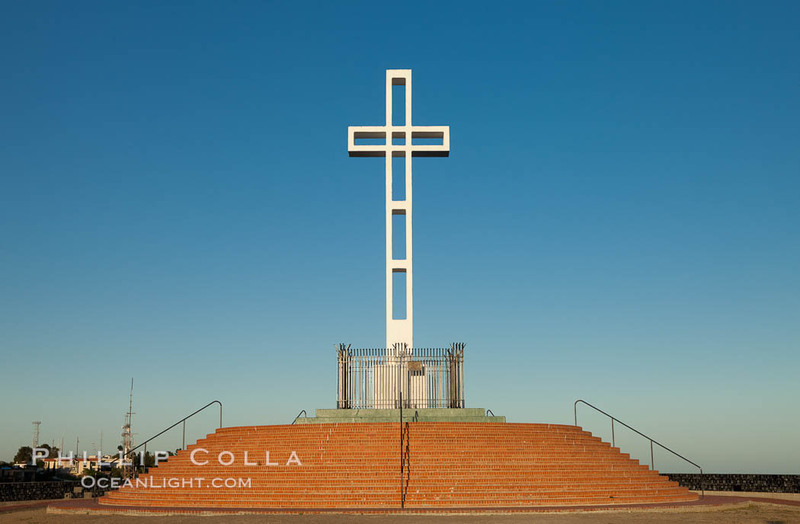 See more Mount Soledad Cross photos.